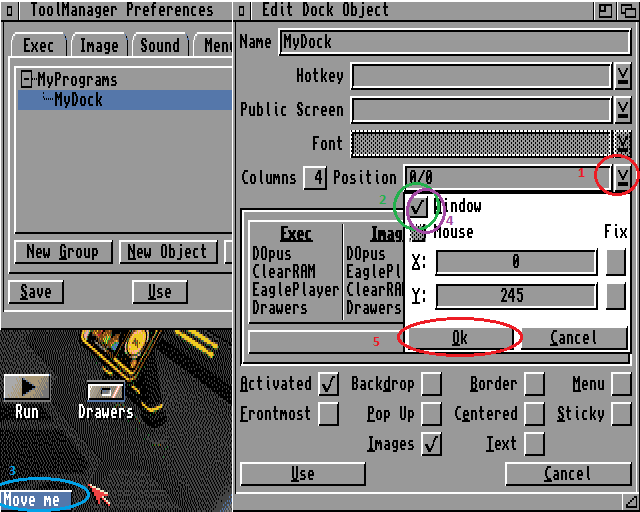 Many people which used OS3.9 in the past would have liked the AmiDock application. 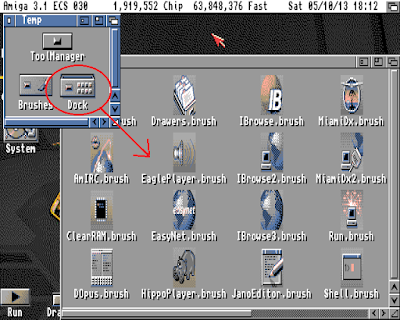 It’s nothing more than a Dock application which you can use to have your favorite and most frequent applications you use easily. 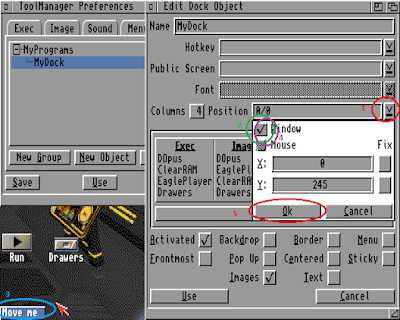 This is why we all love Workbench by all means and I’d tend to agree with that aspect. personally didn’t find the usability of AmiDock to any of them. configuring I’ll try and cover most parts thoroughly in the following steps. for you to choose and test. appropriate files (icon.datatype to /Classes/Datatypes and Icon to /Devs/Datatypes). and the startup program to the WBStartup drawer. for our Dock icon images. OK everything is ready for starting the configuration. 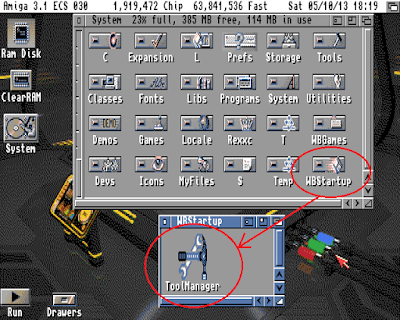 Before we start let’s be sure that ToolManager is running. application ToolManager we’re good to go. 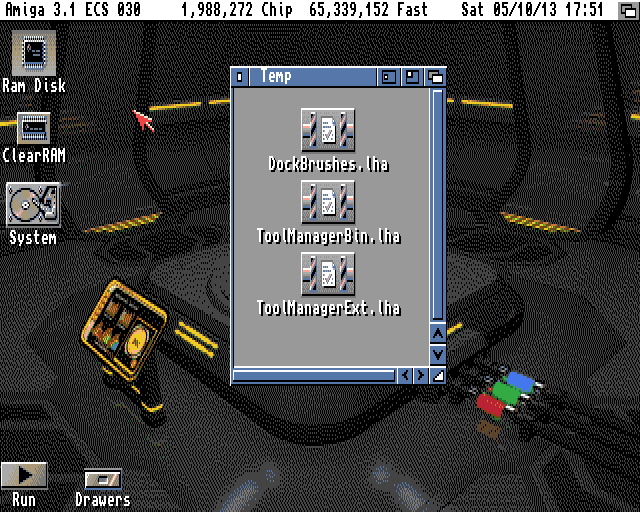 Exec: This is where we declare our binary programs/scripts etc. 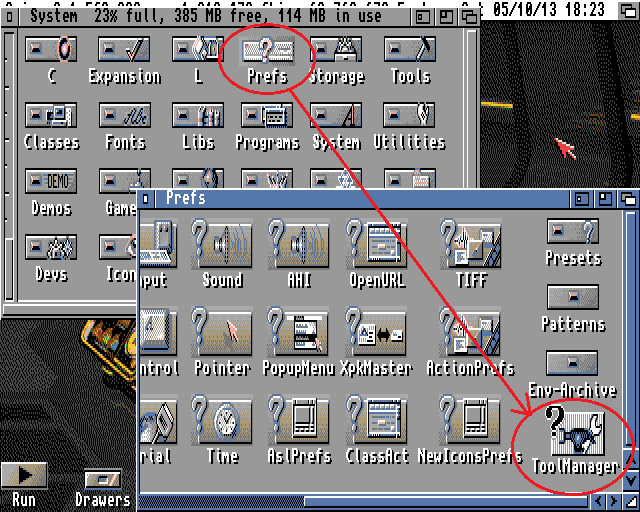 So… first step is to go to the Exec tab in order to create our list with the executable programs that we want on our Dock. application (and if different the Stack size). 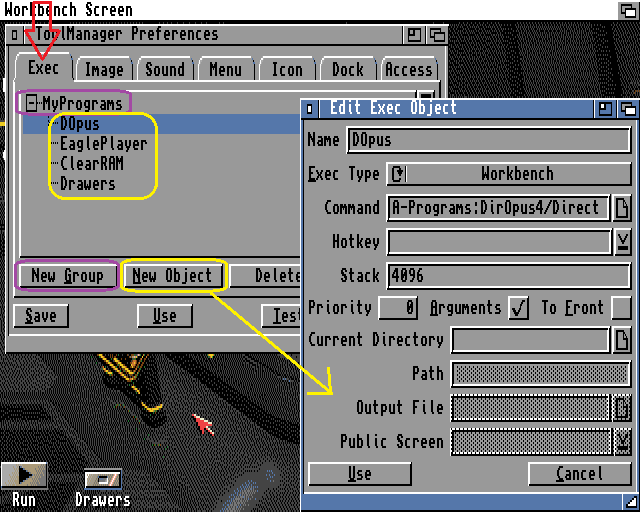 We continue creating new Objects like I did (for example EaglePlayer, ClearRAM and Drawers). Next step is to head to Image tab. the Brush image we spoke about earlier. 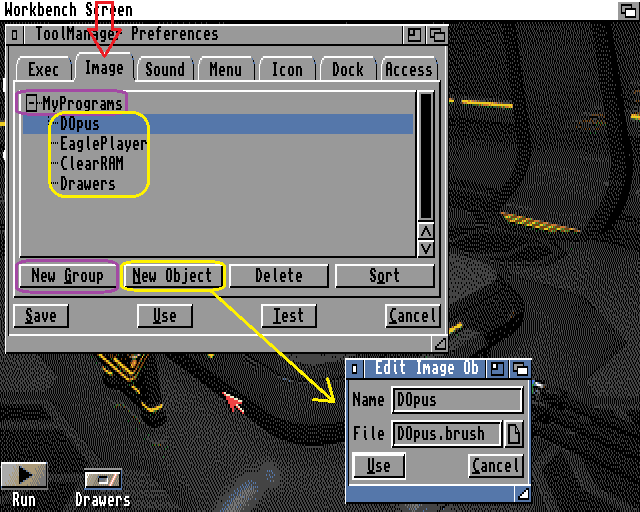 applications as well (EaglePlayer, ClearRAM and Drawers). 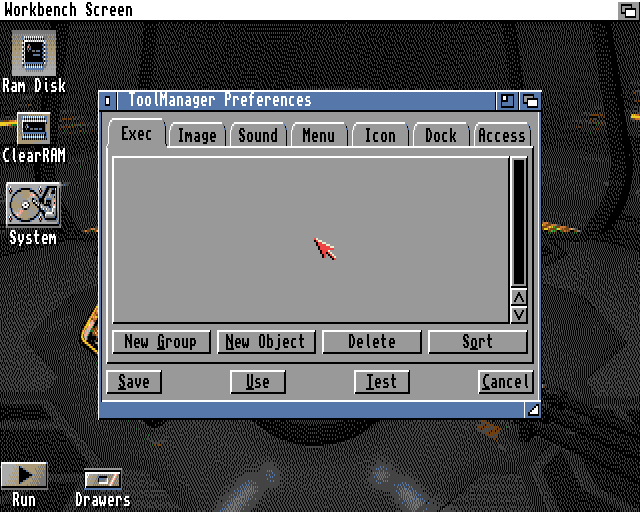 Our final step is the Dock tab. 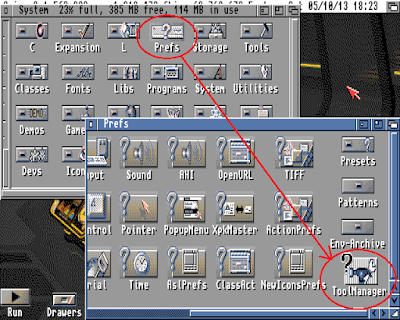 example MyPrograms) and a new Object (for example MyDock). How do we do that? Easy stuff… by Drag & Drop! 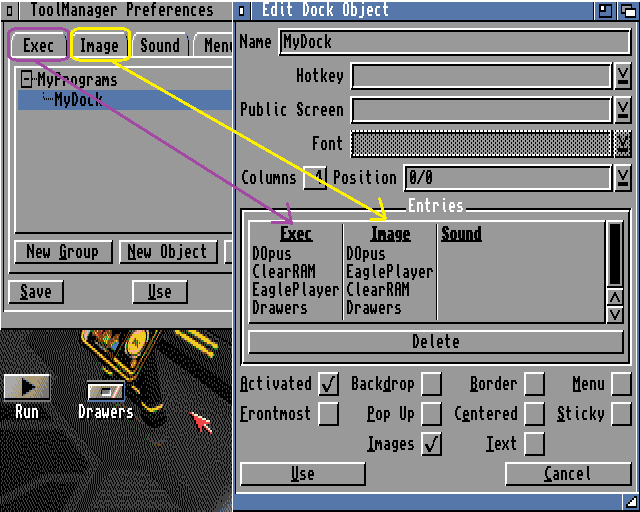 & Drop the DOpus entry into the Exec entry on the Dock Object. 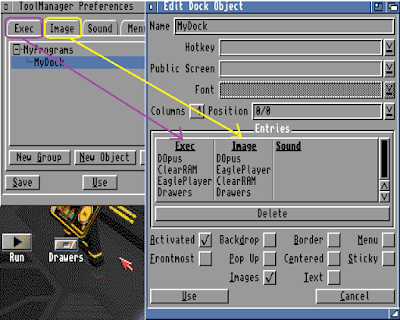 into Image entry on Dock Object). 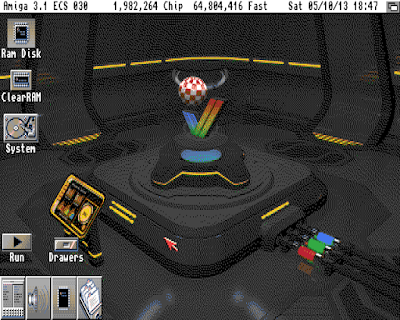 Images on every button you can also enable “Text” option. setup 1 for example, the Dock will become Vertical. Click again the Window tick box and make sure it's unticked. You'll notice that the X,Y text boxes will gather the preferred coordinates! Once you're ready with everything just click the Use button. Step 5: Testing our configuration and saving it! Everything’s ready for the test. Once you’ve finished configuring your Dock you can click the Test button to give it a spin. If you configured everything correctly your Dock will appear in it’s full glory! Once settings are correct and based to your needs you only need to click Save and you’re ready! It wasn't so bad was it? I hope you'll enjoy your new Dock as much as I'm enjoying mine all these years. There's something wrong with your RAM:Env assigns then. First off, thank you very much for this tutorial. Fantastic! And the only one of its kind as far as I can search. I do have a question though. Older documentation states that there is a ToolManager.cong file in S: but I don't have that. I'm trying to find a toolmanager config file that I can copy to another Amiga instead of manually setting everything up again. 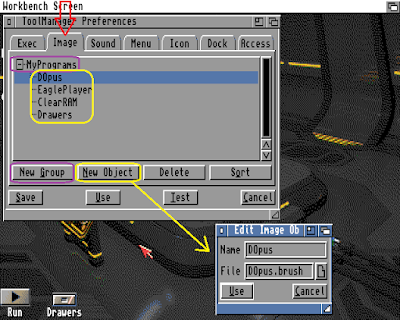 Do you know about this and where I can find such a file? I tried to find the file using DOPUS but it doesn't find that file anywhere. Δούλεψε μια χαρά στην 1200 μου. 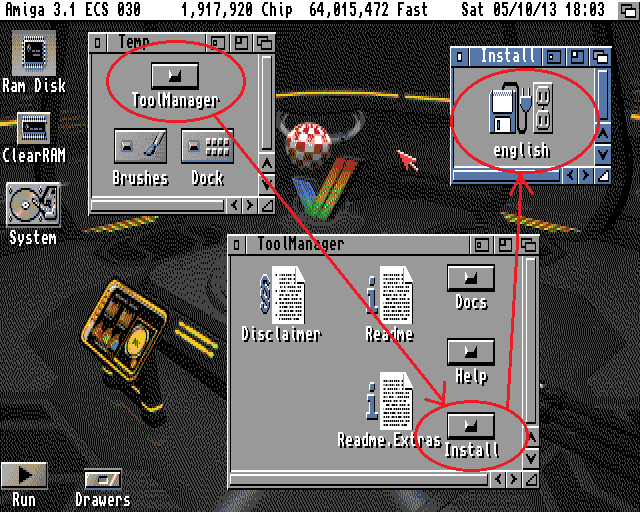 Ive the same problem has the first comment: "I got all the way to the end then got an error message when trying to save - Can't write to file ENV:ToolManager.prefs and no dock :("
Whats the command line to properly assign it? Whats causing this issue? Ive tryed to install happyenv, but i dont have any idea how to work with it. A600: Picasso96 via Indivision ECS!